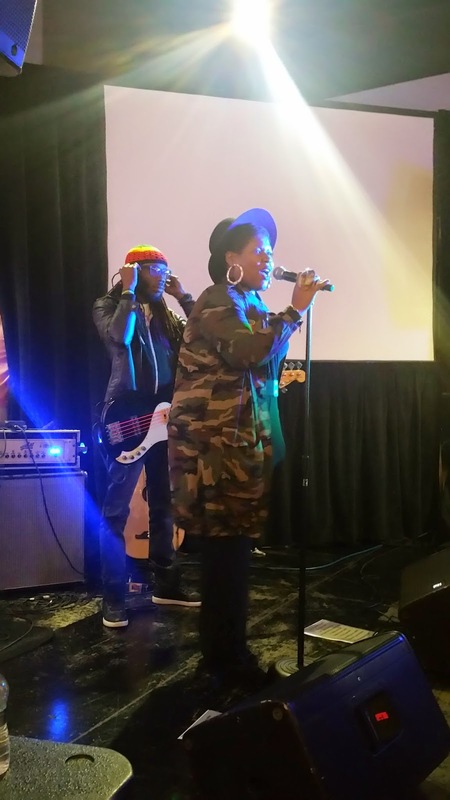 Last night, I had the pleasure of attending the BET's Mirrors and Music-The Being Mary Jane Experience, with the AMAZING Stacy Barthe at Davis St. at Hermann Park. 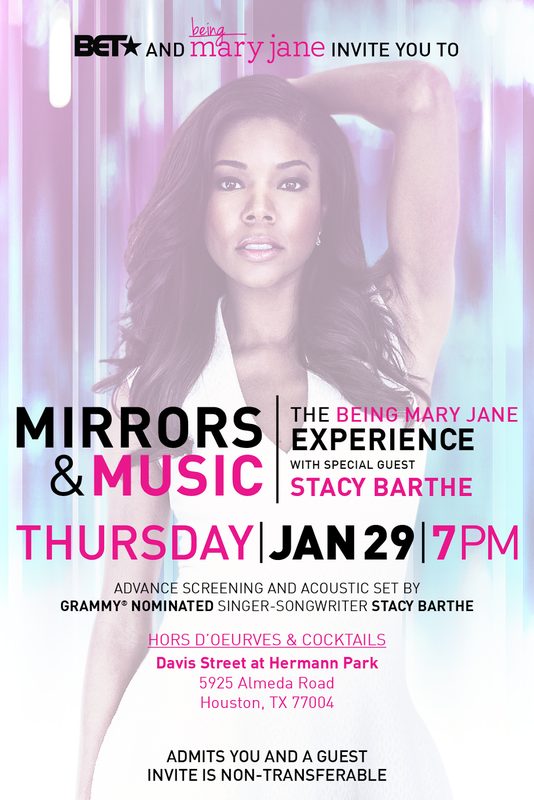 I jumped at the opportunity to attend this particular viewing, as I am a fan the show, Being Mary Jane. While I can't reveal much about the premier episode, I can tell you that Mary Jane is still up to her same old SMH- worthy antics. She's an intelligent, accomplished woman, that has everything-except a man to call her own. There's something about watching Mary Jane fumble through her so-called love life, and forlorn family drama that keeps me yelling at my TV, from edge of my sofa, margarita in hand. I can't wait to see what this season holds for Mary Jane. 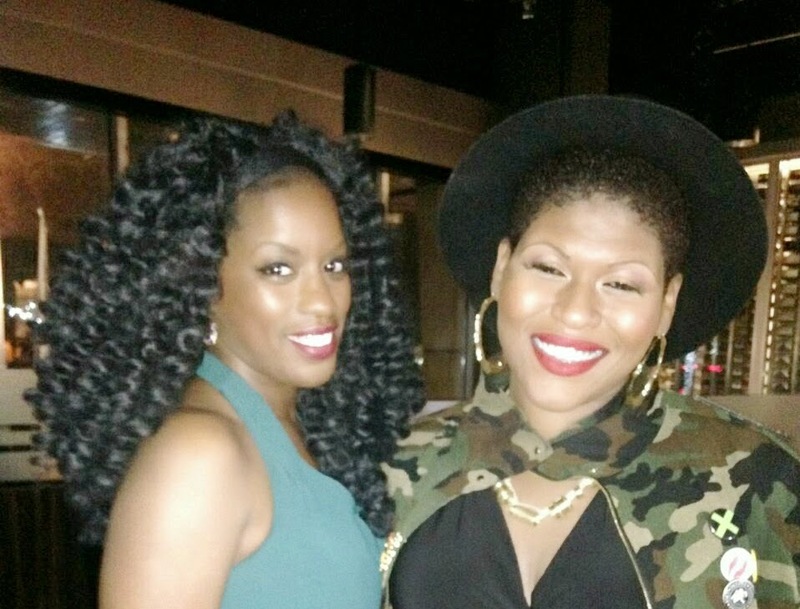 My favorite part of the evening was the acoustic set by the sultry chanteuse, Stacy Barthe! I've loved her music from the day I noticed her on Brandy and Ray J's reality show. Her voice is pure, her lyrics impassioned, and her essence: imperial. I was touched by her honesty at last night's show, as she shared some of her personal struggles with the audience. While some artists would have us believe that with notoriety, comes a perfect life, she revealed to us that she's battled emotional problems in the past. She's overcome her past, and she proclaims her testament in "Flawed Beautiful Creatures" from her EP, P.S. I Love You. I am happy that we had the opportunity to speak with her after the show. We laughed, and talked about hair, among other things, and she even invited us out for a night on the town. She's insanely gorgeous and incredibly nice! My husband told her that I listen to her music on repeat. No lies told. I could listen to "Let it Be" for hours straight! Last night's venue was Davis St. at Hermann Park. The food was titillating-yes, titillating! The drinks were good, and strong, too! The staff was extraordinary, and for that reason alone, I'll be back!